Side body brackets. Support the side of the body. Mounts in front of the doors, by the hinges. Used on Torpedo Roadsters only. 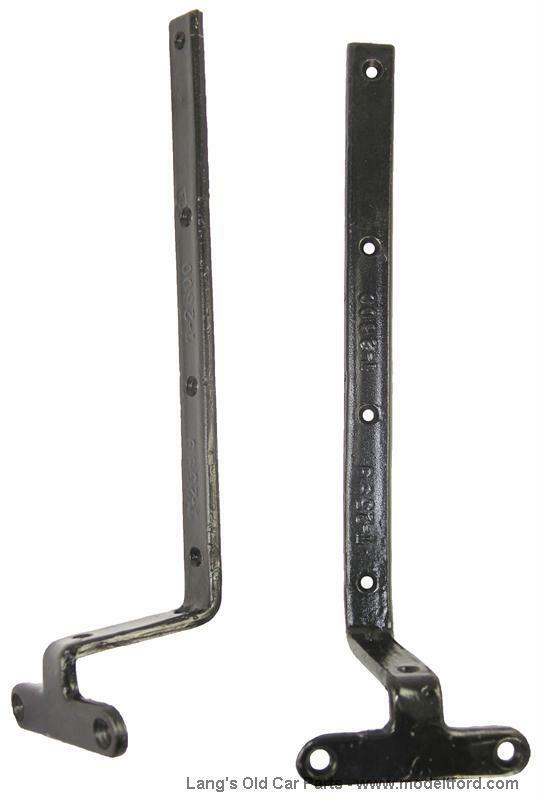 These steel iron brackets have the part numbers cast right into the brackets as original.